Two other papers by Medraptors have been published. 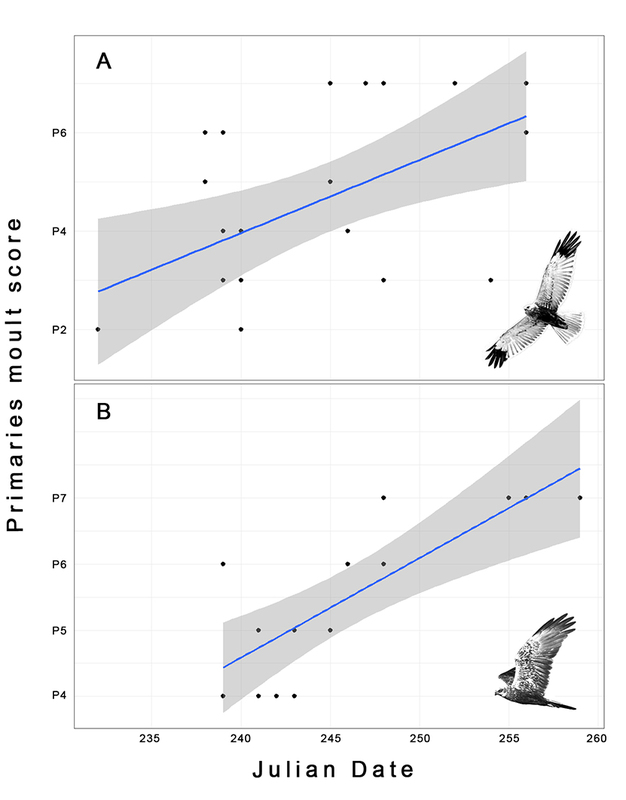 The first one describes the moult pattern of Marsh harriers during autumn migration at the Strait of Messina and was realized by analysing tons of pictures made during autumn 2016. The second one was made in the field of the activity of the Natural History Museum of Crete that has been monitoring the colonies of Eleonora's falcons since a long time. We used a broad-band marine radar to detect factors influencing the flight altitude of falcons in proximity of a colony located on a small rocky islet. Ramirez J., Panuccio M. 2019. Flight feather moult in Western Marsh Harriers during autumn migration. Avian Research 10:7. Xirouchakis S.M., Panuccio M. 2019. Hunting altitude of Eleonora's falcon (Falco eleonorae) over a breeding colony. Journal of Raptor Research 53(1): 56–65.